Over the last few months we have been looking at the oldest books in the Curtin Library collection to find those that are rare, unusual or somehow noteworthy. This copy of The Countesse of Pembroke’s Arcadia is the oldest English language book found so far. 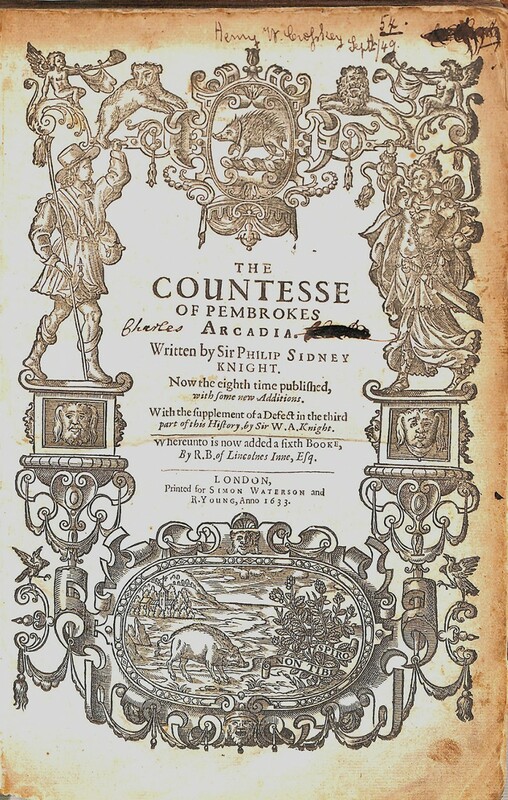 Arcadia was written by Sir Philip Sidney for his sister, Mary Sidney Herbert, the Countess of Pembroke. Sir Philip was an Elizabethan courtier, statesman, poet and patron of scholars and poets. More than 40 works of literature from the period were dedicated to him. He completed Arcadia in 1580, calling it ‘a trifle’, and later revised it to create a more complex narrative. Sidney died before completing the revised version which was published after his death, in 1590. Arcadia was then revised again considerably and published together with Sidney’s sonnets and an essay, The Defense of Poesie, in 1598. This new Arcadia at 180,000 words was no longer a ‘trifle’. It’s popularity saw it reprinted nine times during the next one hundred years. Part tale of chivalry, part political thriller, Arcadia is often described as a pastoral romance. The plot is complicated, involving princes and princesses, kidnap, torture, tangled romances and evil potions. This copy of Arcadia is the 8th edition, published by Simon Waterson and Robert Young, and printed by Young in 1633. The complete provenance of the Curtin copy of Arcadia is unclear. Previous owners have added their names, and removed others, at the title page. 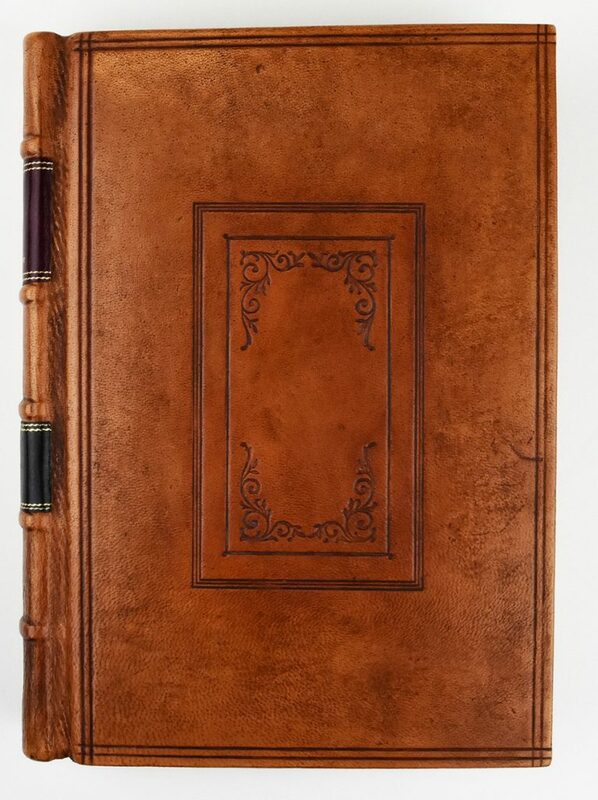 The volume was rebound in leather, quite likely once the book was at least 300 years old. 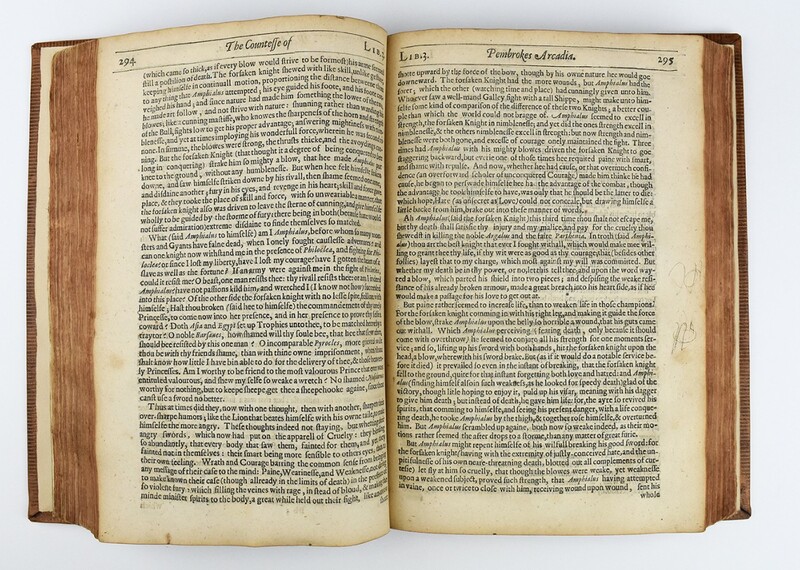 This, together with the quality of the paper used in 17th century printing, has ensured that the book has been preserved in quite good condition. This copy of Sidney’s Arcadia is a fine example of the endurance of ink on paper, passing through the hands of several owners until it was acquired by the Curtin Library. It is now held with the rare books collection housed at the John Curtin Prime Ministerial Library.